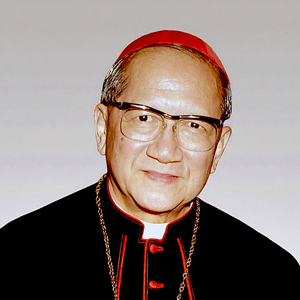 Cardinal Francis Xavier Nguyen Van Thuan was a political prisoner of the Communist regime in Vietnam for thirteen years, nine of which he spent in solitary confinement. His remarkable faith sustained him during those long years. In fact, his faith was so contagious that the authorities frequently changed his guards out of fear that they would convert to Catholicism. Cardinal Thuan’s spiritual writings, penned on the back of old calendars, have been compiled into a book—The Road of Hope— which has inspired millions throughout the world. He died in 2002. In 2017, he was declared Venerable and is on the path to canonization.